Not a day goes by without someone around you mentioning Bitcoin. Friends, family, the media, social networks, everyone is talking about Bitcoin. The truth is, very few people truly understand what it is, let alone are able to explain how it works or how it can be traded. This article will attempt to tell you all about it, here is Bitcoin explained. Bitcoin is a decentralized digital currency whose coins can be exchanged using a peer to peer mechanism on the internet. Bitcoins can be created, stored and transferred electronically, and they have no physical form, unlike dollars, euros or yens (called fiat currencies). Bitcoin’s abbreviation on financial markets is BTC, it is the first example of a new brand of electronic currencies called cryptocurrencies. The price of Bitcoin is usually quoted against the major currencies: for example the price of BTCUSD in financial markets gives you the price of 1 Bitcoin in US dollar terms. Bitcoin can be used to purchase goods online, as more and more retailers and companies adopt it. You can check out this initial list of companies accepting Bitcoin. What is the price of Bitcoin? where can I find it ? BTC can be broken down to extremely small units. The smallest unit of Bitcoin is called a Satoshi, representing 0.00000001 BTC (one hundred millionth of a BTC). The code behind Bitcoin mandates that Bitcoin will exist in limited supply, allowing for only 21 million Bitcoins in circulation. Follow the link if you want to check how many Bitcoins have been created to date. If you want to find the price of Bitcoin, its market capitalization, daily transaction volumes, and many other useful statistics, you can use two reliable resources : coinmarketcap.com and blockchain.info. Now let’s go back a little bit, and understand where Bitcoin is coming from. When was Bitcoin created, by whom ? Bitcoin was created in 2009 by an unknown developer (or group of developers) under the alias Satoshi Nakamoto. The first outlines were published in 2008, when Satoshi Nakamoto described the functioning of the first digital currency. The idea was to create a currency totally independent from any kind of central authority such as central banks or financial institutions. Satoshi Nakamoto made the open source code available to developers in 2010, and since then, the community has never stopped adding to the core code. Remember that the main innovation with Bitcoin is the Blockchain, the system/platform under which it operates. So if you want to understand how Bitcoin works, you need to understand the Blockchain first. Simply put, the blockchain is a cheap and giant record of all transactions that is stored in many different locations at once. It is a technology on which many applications can be built, Bitcoin being one of them. It is a distributed public ledger of account. Think about it as one great unique notice board where anyone can post a transaction, visible by all. That transaction is defined by unique identifiers, it is timestamped and verified by miners, and it can never be modified once it has been posted. It takes away the need for a trusted third party in any kind of transaction. Blockchain relies on open source software and cryptography to create a system that is both safe and cost efficient. Bitcoin is only one application of the Blockchain, which can be used in many different ways. If you want to know more about Blockchain and the underlying technology, this video will tell you a lot more about how Bitcoin works. Bitcoin is decentralized, so you can transfer them to another person without going through a third party such as a bank or a financial institution. No one controls Bitcoin, you can create an account without any form of financial diligence or background check, and this account cannot be frozen. Since it is fully digital, the fees for transferring Bitcoin are much lower than normal currencies, making Bitcoin very cost efficient. It suffers no cross border remittance fees for example. 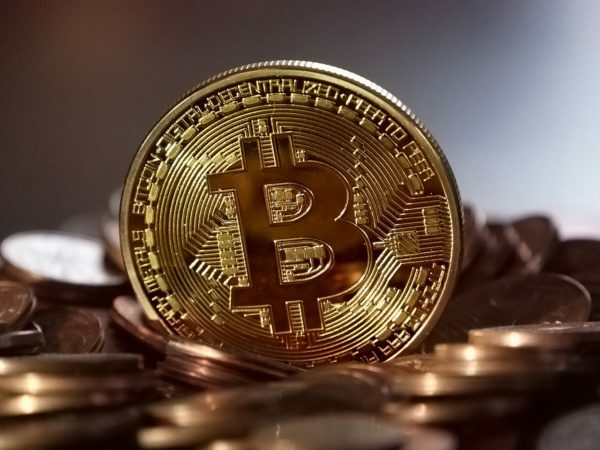 Bitcoin is available to almost anyone all over the world (except in countries where governments are taking a restrictive stance on Internet or cryptocurrencies) and allows for much faster transactions than conventional means. A Bitcoin transaction will arrive minutes after it has been initialized anywhere in the world. So Bitcoin has many advantages. It is opening up a whole new world of innovation, and many experts agree that Bitcoin could well be the future of money. How do you create Bitcoins ? What is mining ? Bitcoins are created through an operation called mining, representing a series of complex mathematical operations processed in a distributed network. The process is simple: miners who verify transactions and solve the complex mathematical puzzles are rewarded with newly generated Bitcoins. They make the Bitcoin network secure. Every miner keeps a copy of the whole Blockchain and all miners compete to decode the next block of transactions. As more and more Bitcoins are created (on the path to the 21 million), and as more miners kick in, the more complex the mathematical formula gets. Since around 16 million Bitcoins have already been mined, we estimate the next 4 million to take another 10 years to mine and the last million a much much longer period of time. Bitcoins are traded on exchanges around the world where they can be exchanged for euros or dollars. They are stored in wallets, that can be either online or offline (on your computer). If party A wants to transfer Bitcoins to party B, A broadcasts a message to the community of miners. Similar transactions such as this one are bundled together in blocks and made available to the Community in the form of complex math problems. The miner who solves the puzzle broadcasts the result to the wider community that can in turn verify that it is correct. The happy miner is then rewarded with new Bitcoins. Should I invest in Bitcoin? Will it make me rich ? Bitcoin’s price history has been one of wild swings. Consider this amazing fact: if you had invested 100$ in bitcoin in May 2010, today your coins would be worth a massive $170 million (as of Sept 2017). Indeed, the first concrete valuation given to Bitcoin was 0.0025$, when a Bitcoin user (Laszlo Hanyecz) paid 10,000 BTC for two pizzas delivered to him on May 22nd 2010. That’s quite a mind-blowing fact. And today, everyone is starting to have an interest in Bitcoin. Not only growing number of individuals, bit also banks, governments, institutions. A lot of people are making wild predictions about the price Bitcoin could reach in the medium to long run. But you have to consider that people investing in Bitcoin aren’t totally buying the currency in itself, but rather investing in the underlying technology, the Blockchain. If you want to understand why I strongly believe that Bitcoin is a unique long term investment, you can read and follow my Long Term strategy to invest in Bitcoin. The revolution behind Bitcoin is also that it creates the possibility of trusted transactions at extremely low costs for millions of people who do not have access to trusted financial institutions, or cannot afford them. We are only seeing the beginning of this. Blockchain is creating a whole new world of opportunities and a fundamental shift in the way business and transactions are conducted. It is going to change the landscape. What are the risks of buying and owning Bitcoins? Ok, now before you embark on your journey to Bitcoin trading, you need to consider a few factors of risk. First, the extreme volatility of Bitcoin prices. Swings of more than 10% in one day are not uncommon, making any form of Money Management very difficult to implement. Second, fraud, theft and hacking are frequent on the internet. Securing your Bitcoins on an online or offline wallet is essential. Mt. Gox, once the largest Bitcoin exchange platform suffered a massive computer hack in February 2014, during which around $400 million dollars were lost by investors. Due to the lack of oversight of Bitcoin by construction, no institution kicked in to save anyone. You can read about it in this article on how Mt.Gox went down. Want to know more about Bitcoin ? If you want to know more about Bitcoin, here are some sources I recommend. And if you want to understand Bitcoin in more of a graphic way, here is an Infographic I have created to summarize it all.